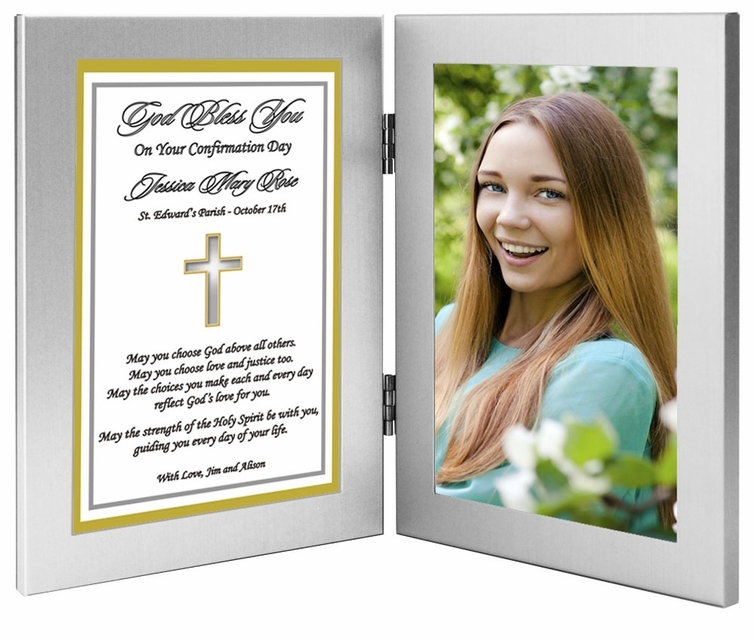 Give a Confirmation gift to your son, daughter, niece, nephew, grandchild or Godchild that will surely become a treasured Confirmation keepsake. This very special Confirmation present can be personalized with names, date, and a personal message from you. Add a 4x6 inch photo to the frame after delivery. Receiving the sacrament of Confirmation is a very important day in the religious life of a young man or young woman. 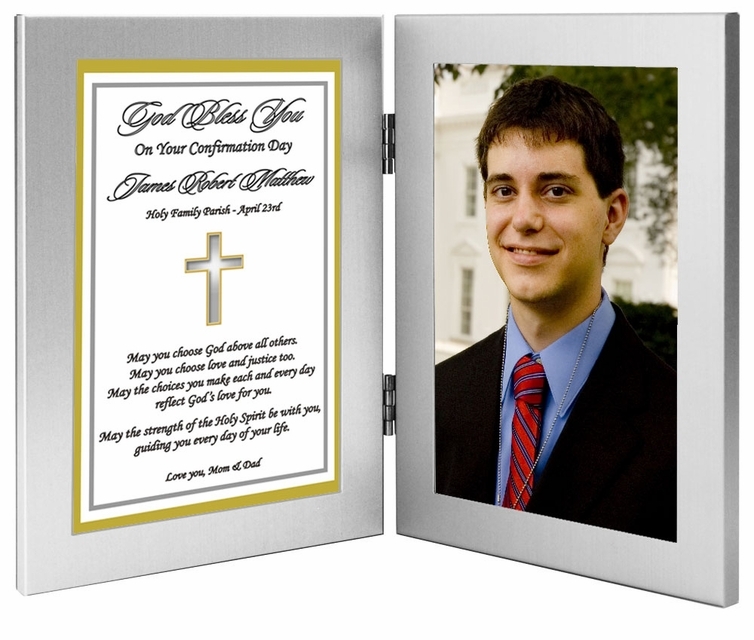 Why not commemorate this occasion by giving him or her this lovely personalized Confirmation gift. The heartfelt poem is presented in an attractive brushed silver metallic double frame. May you choose God above all others. May you choose love and justice too. reflect God’s love for you. Very happy with my order. Nice memento for my daughter...Thanks!